Some days just stick in the memory for all the right reasons! We at SnoRiders would like to introduce our cover photographer for the fall 2011 issue, Dave Best. In addition to taking fabulous pictures of snowmobilers in action, Best also took the time to share his personal best ride ever. The sledshot.com crew is a group of good friends who used to ride a lot together. We started the website to fill what we saw as a gap in the mountain sledding market—a place to share technical tips and equipment information online, to coach and train people on mountain riding techniques and to educate people on safety in the mountains. Over the years, keeping content on sledshot.com current, honouring other business commitments and ensuring family time have grown in importance and have eaten into riding time. When Aaron and I do get out, we often have a commitment to film riding tip videos, shoot photos for clients, or guide other riders. So last year, with our other partners in sledshot.com, we all committed to one day, weeks in advance, where everyone would be free for a day of riding. The day started slightly overcast, but everyone was stoked because there had been 8 to 12 inches of fresh snowfall the night before, and the promise of clearing skies. Sure enough, Mother Nature delivered. Avy conditions were not ideal, and after a brief visit to the alpine to check conditions the crew returned to the tree line, where the day was spent boondocking in deep fresh powder, testing out the new Nytro turbo, and altogether just having an amazing time with some friends. Four good friends, a foot of fresh snow, blue skies and no one else in the zone all day—life doesn't get much better than that! Living in Golden, British Columbia with the mountains literally at your back door is what many people dream of. For Aaron it is not only a place for recreation, but also for his business. 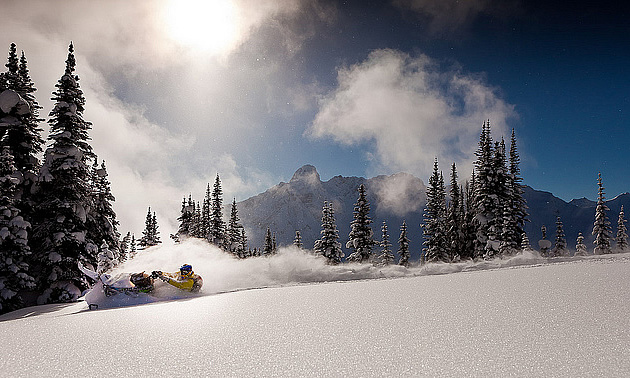 Mountain Motorsports was developed out of a passion for the snowmobile industry. His goal was to figure out a way to work, live and breathe sledding. Along with Mountain Motorsports Aaron also has a sled rental company called Golden Snowmobile Rentals. This is the one that helps him get out on the snow as much as he does! Joint partner in sledshot.com with Aaron Bernasconi, Dave is a photographer based out of Golden. Focusing on a range of winter sports, his time working in the mountains enables him to capture shots with a range of athletes: snowmobiling, skiing and snowboarding. Like Aaron, his passion and business have been combined, enabling him to spend a significant number of days on snow, while still keeping Best Impressions Photography a success. Both Aaron and Dave consider themselves very lucky to work in an enormous office with a better-than-average view, and the opportunity to work with such great people! Sledshot.com was developed as an independent focal point for mountain sledding worldwide. Established to promote the growing industry, sledshot.com gives all mountain sledders a single point of reference for the industry. Regular news updates include up-to-date manufacturer’s reports, media releases, professional journalism and photography with a strong focus on safety in the mountains. The site also provides an extensive range of tech tip and riding tip videos, developed to offer mountain sledders a source of "how to" information—both on and off the snow. Free photo and video uploads in the site galleries, as well as free online classifieds give sledshot.com users a one-stop website for all their mountain sledding information. 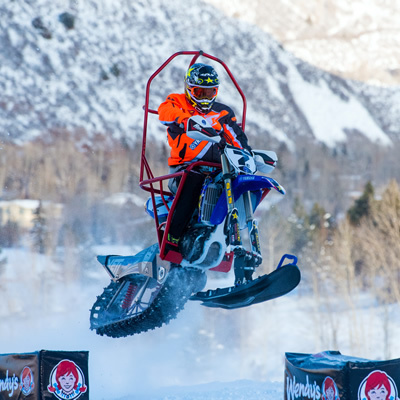 Snocross legend Blair Morgan returns to the limelight after nearly a decade. 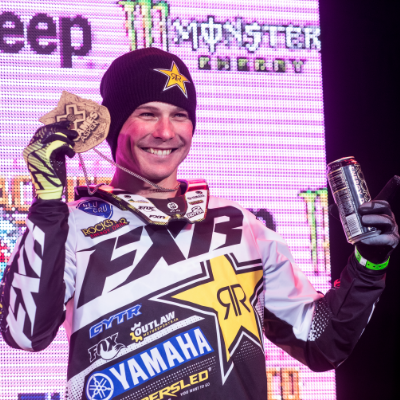 Canadian Riders brought medals home after this year’s Winter X Games in Aspen, Colorado.